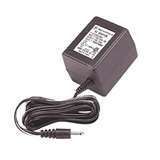 This product is a 120 Volt Replacement 10 Hour Charging Adapter with 60Hz. This product is compatible with SP50+ & SP50. This product requires 10 hours of charge for Compact Models and 18-20 Hours of charge for Standard Models. This product is not recommended for standard products due to charging time.